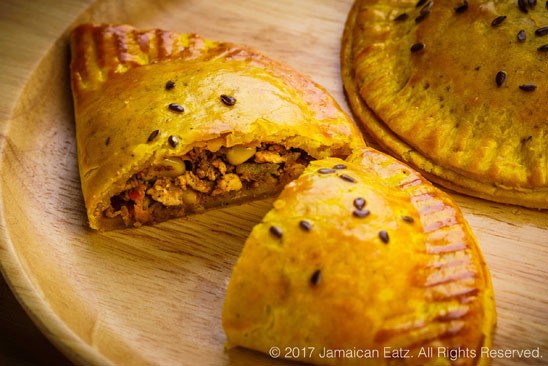 A Jamaican inspired flaky and buttery pastry filled with a perfect blend of premium Australian beef layered in mouthwatering flavors, herbs and spices, and corn to guarantee a superior taste and texture. 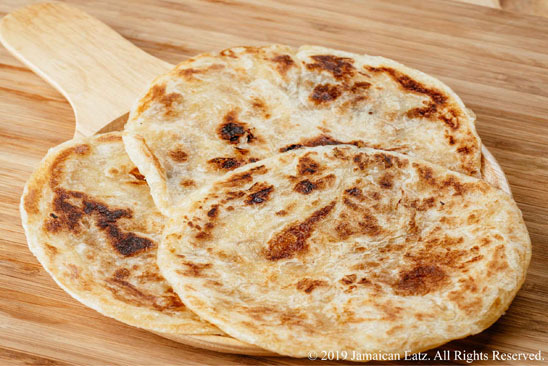 Warm, flaky and buttery roti pastry. 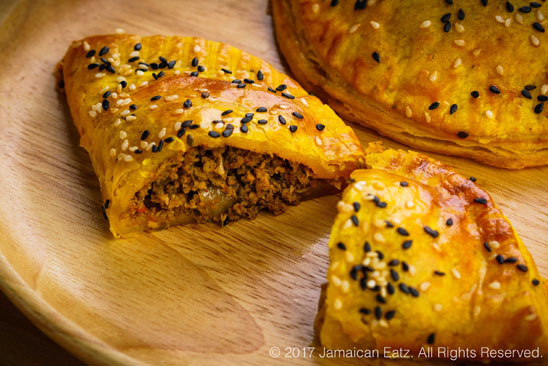 Tender chicken with 17 herbs and spices cooked to perfection and wrapped in a Caribbean style pastry. 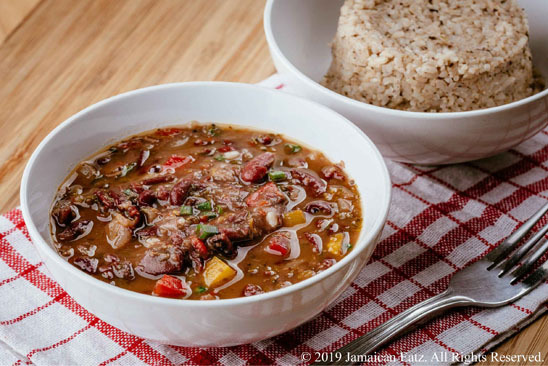 Seasoned coconut rice and our Caribbean stewed beans. 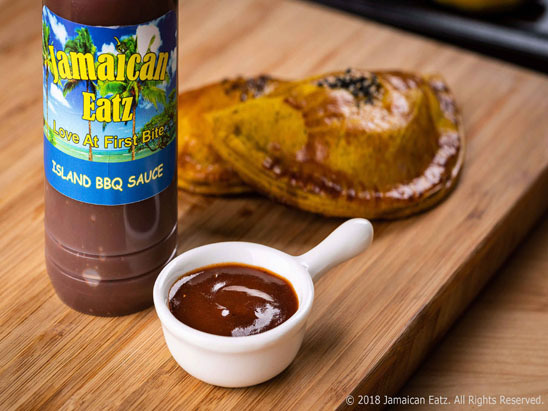 Juicy Pork marinated in our special island seasoning wrapped in our signature pastry. 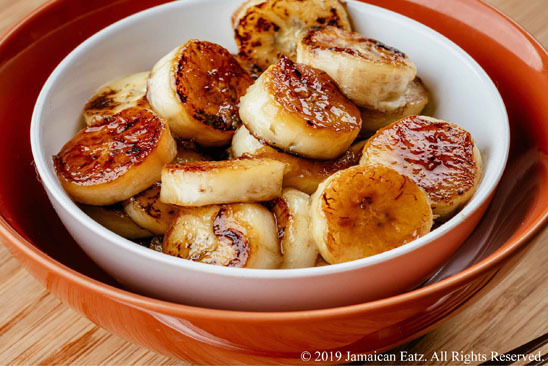 Golden sweet bananas (plantains) with a hint of cinnamon and caramelized brown sugar. 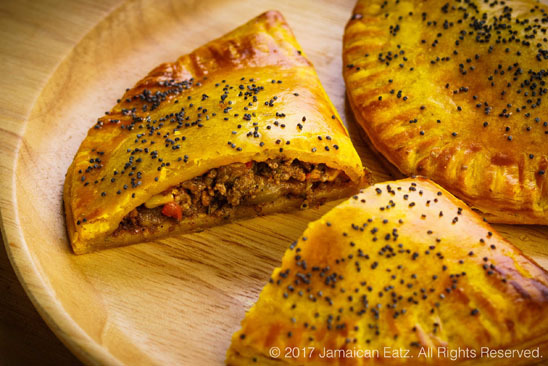 Enjoy our delicious Caribbean savory and sweet pies as a snack. 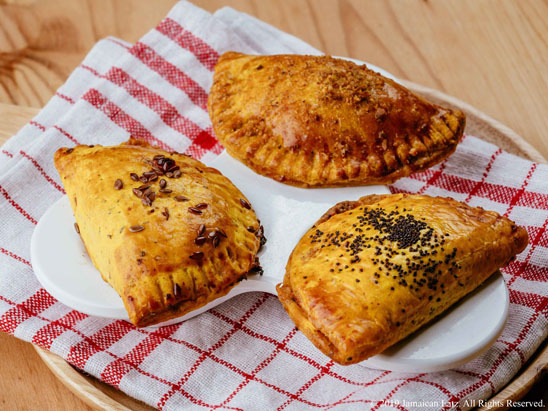 The meat pies go great with beer and the dessert pies go even better with coffee or ice cream. 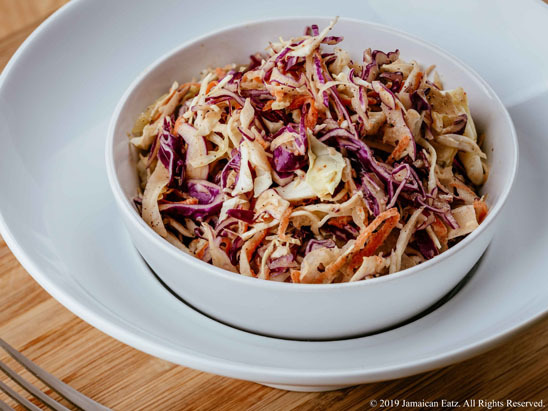 Colorful mix of cabbage, chopped veggies and savory mayonnaise. 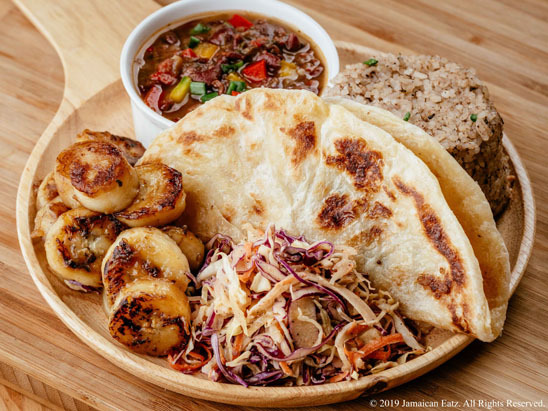 Flaky and buttery roti pastry wrapped around our succulent meat (Beef, Chicken, Pork) topped with our signature coleslaw and homemade roti sauce. 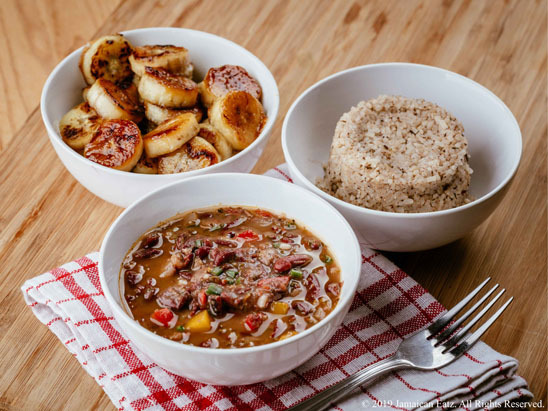 Coconut rice & Caribbean stewed beans and sweet bananas. 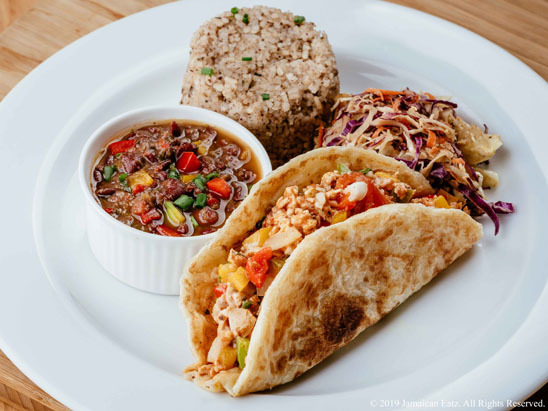 Our house-made slow simmered BBQ sauce is packed with flavor, spice and a touch of sweetness to complement any savory dish. 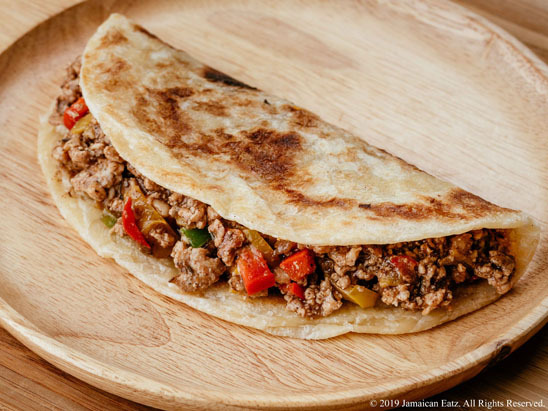 It goes great with our meat pies! 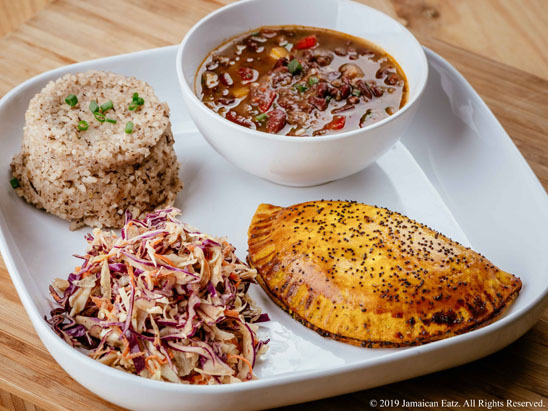 Your choice of any 3 mini pies, rice & beans and coleslaw. 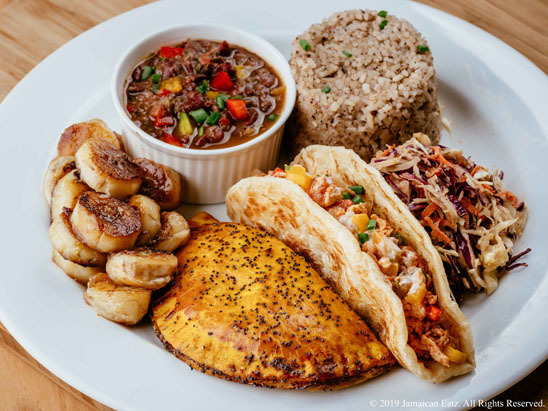 This plate includes one of our famous large pies, rice & beans and coleslaw. A complete and tasty meal consisting of 1 roti, rice & beans, and coleslaw. 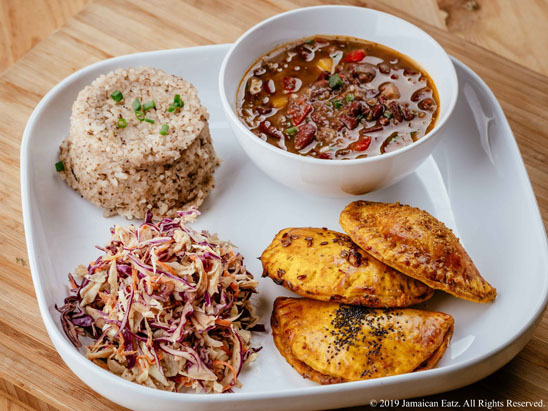 A vegetarian delight, buttery roti bread, coconut rice & beans, sweet bananas and coleslaw. 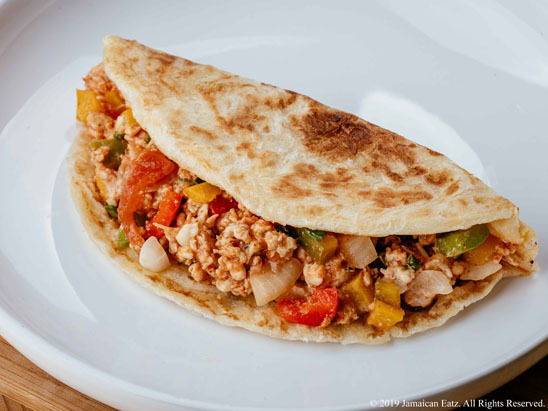 This plate satisfies large appetites and those who wish to try several delicious items. 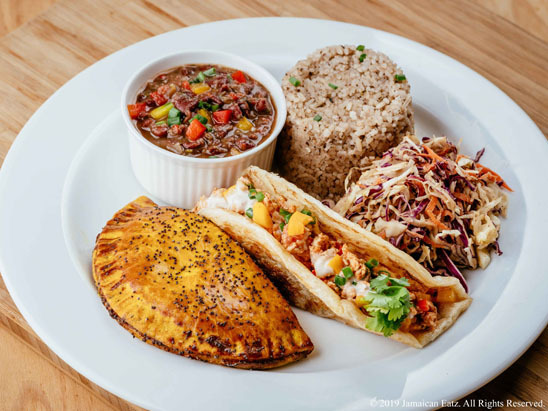 Our signature plate which is a Caribbean feast fit for a King includes your choice of 1 roti, 1 pie, sweet bananas, rice & beans and coleslaw.